The Klean Kanteen Classic Bottle 532ml is immediately recognizable by it's fresh and simple design. A classic water bottle that you want to take with you to any place in the world and shall withstand the test of time effortlessly. We offer this model in four different sizes and in the case of the Klean Kanteen Classic Bottle 532ml in 6 different colors. The Sport Cap 3.0 is the improved version of this classic, a cap that is free from environmentally polluting BPA's and can be washed in the dishwasher. You want a drinking bottle that weighs little, especially during a long walk or hike of several days in inhospitable areas. This single-walled bottle will give you a lifetime of pleasure and comfort. 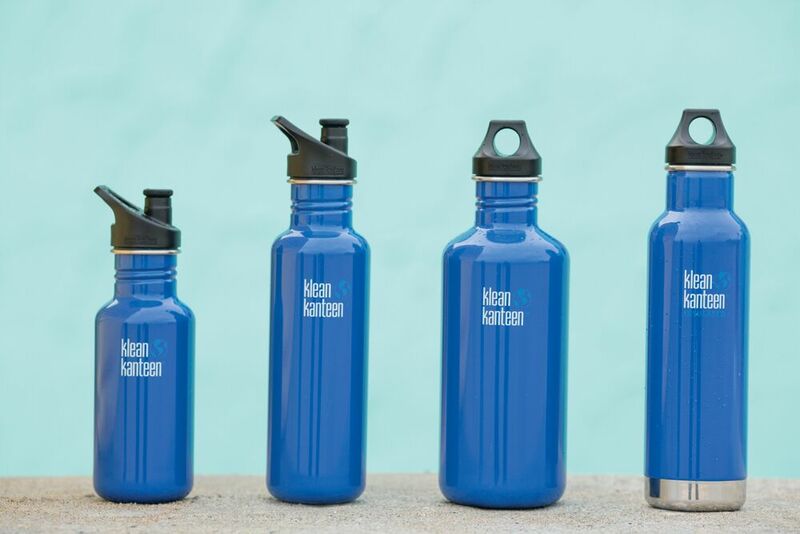 1% of Klean Kanteen's gross turnover goes to a non-profit organization that is committed to nature. The Klean Kanteen Classic Bottle 532ml is made of 18/8 food grade stainless steel. They make very high demands in their factories concerning fair labor, including ethical treatment, prohibition of child labor, wages and benefits, health and safety of every employee.